There's something so utterly special about crocheting for babies and children. This pair of sister bunnies was made for a lovely friend's four-year-old daughter and four-month-old baby girl. The bond between sisters is amazing and unique, and I hope that these two bun-lets can make a good gift for sisters! 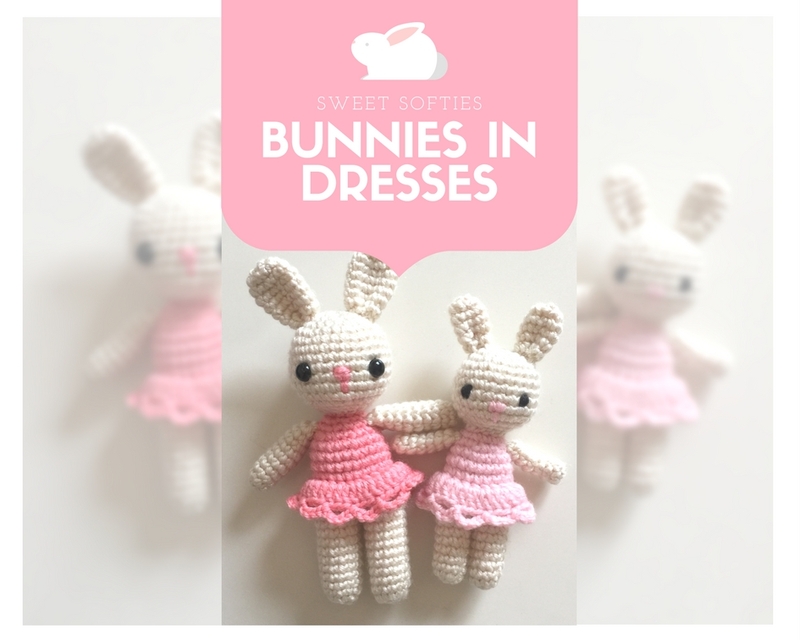 The Bunnies in Dresses Pattern provides instructions for crocheting two sweet and adorable sister bunnies! Both patterns are quick projects to work up, and make excellent gifts for sisters! Customize your project by using different yarn colors for the dresses, or add embellishments such as beads and buttons! This 14-page pattern includes complete written instructions with accompanying photo references for crocheting this doll from start to finish. The pattern includes an optional pattern for making a hair bow embellishment to put on the bunny's head.